March 6, 2019 is national Spread the Word day. NEW! The official Spread The Word Inclusion website is live! Visit https://www.spreadtheword.global/ to learn about the movement, make the pledgs and how to create a more inclusive world. The Spread The Word Store is now open! Visit https://stwstore.global/ to shop t-shirts, stickers, wrist bands and buttons to help your school Spread The Word Inclusion. 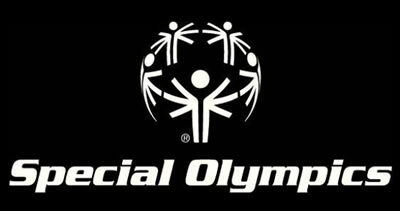 For help purchasing items, contact Amanda Ward at youth@specialolympicewy.org or 307-235-3062. For the past 10 years, Spread the Word to End the Word has started the conversation on respect with over 1,000,000 pledges to end the use of the R-word. To further our conversation and commitment towards respect, we want to go bodly into the next ten years, with the guidance of our Spread the Word community. We still want to end discrimination of people with intellecutal disabilities, that is why we are spreading the word, INCLUSION! How to Spread the Word Inclusion? +Pledge- Host a local pledge event at your school or in your community. +Pep Ralies- Create your own Spread the Word Inclusion rally. +Share Your Story- Use your socail media netowrks of Facebook, Twitter, Instagram, YouTube to share why you Spread the Word Inclusion. Don't forget to follow Special Olympics Wyoming and tag us #SpecialOWYO! More resources will be added as they become available, so stay tuned! Contact Amanda Ward 307-235- 3062 for more inforamtion or to plan an event.